I just love coconut! The taste, the smell, mmm I really love it! 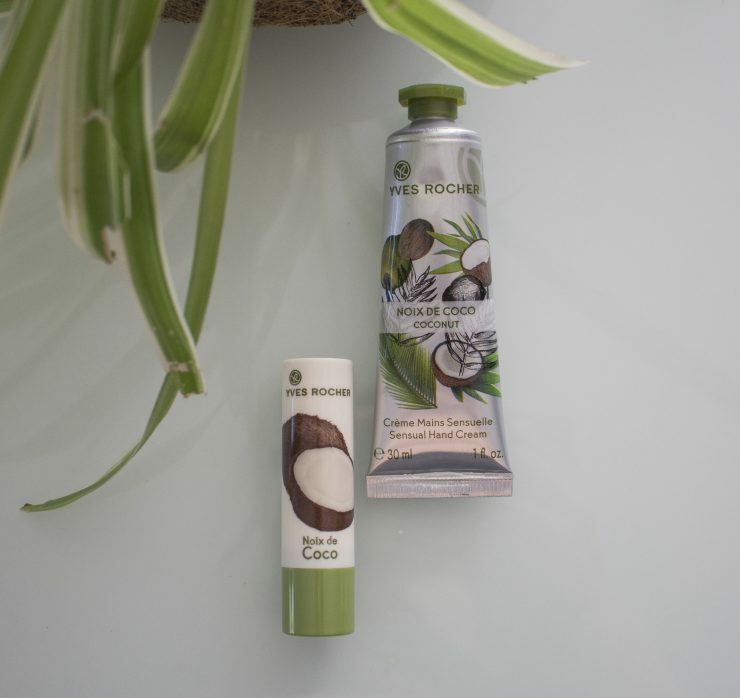 And of course I’m always happy with lovely products that smell after coconut… First of all I wasn’t going to write an article about this lip balm and hand cream from yves rocher… But because these products are budget winners I needed to write something about it! From the hand creams from Yves Rocher I’m generally satisfied about them! They all work almost the same only the smell of it is a bit different. And this one of course smells lovely after tropical coconut! The hand cream comes in a handy format to take with you. You can easy use this cream in between because it directly absorb into the skin. And it takes care of your hands and makes them soft! And the best part of all… Afterwards your hands smell subtle after coconut. The lip balm feels extremely soft and good on the lips. It makes my lips feel soft and good. And the smell of it, mmm so good especially if you are a coconut lover! 😉 The lip balm works perfectly and does what a good lip balm needs do to! For sure an amazing product! Both products work amazing! The hand cream is handy, absorbs quickly into the skin and takes care of your hands. The lip balm does what a good lip balm needs to do. So it are both amazing products! Coconut lovers will for sure love these good smelling products! I find both products budget winners! The hand cream contains 30ml and cost €2,95 and the lip balm has a sweet price from €1,95.